Rasor PTA and Student Council are hosting a Color Fun Run to promote healthiness and happiness while raising funds for our school. Please join us as we run through powdered paint on a designated path around Rasor Elementary School. The longer you run the more color you will be hit with! Pie-your-Teacher-in-the-Face & Other Fun Games throughout the event. Register for the Rasor Color Fun Run today! Registration is $5 for individuals or $10 for families. 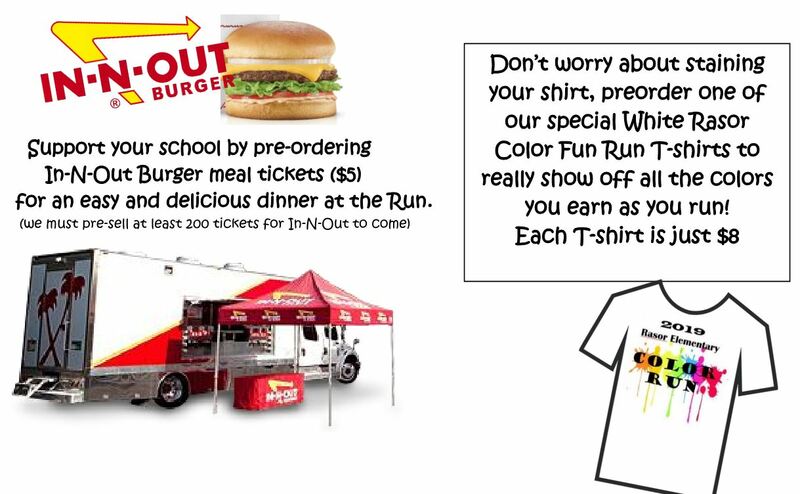 Pre-order In-N-Out Burger Meals and T-shirts today! The meals are $5 each. T-shirts are sold out. Please consider sponsoring a student/students (other than your own) that might not be able to participate in the Color Fun Run otherwise. Please help with their $5 registration fee! 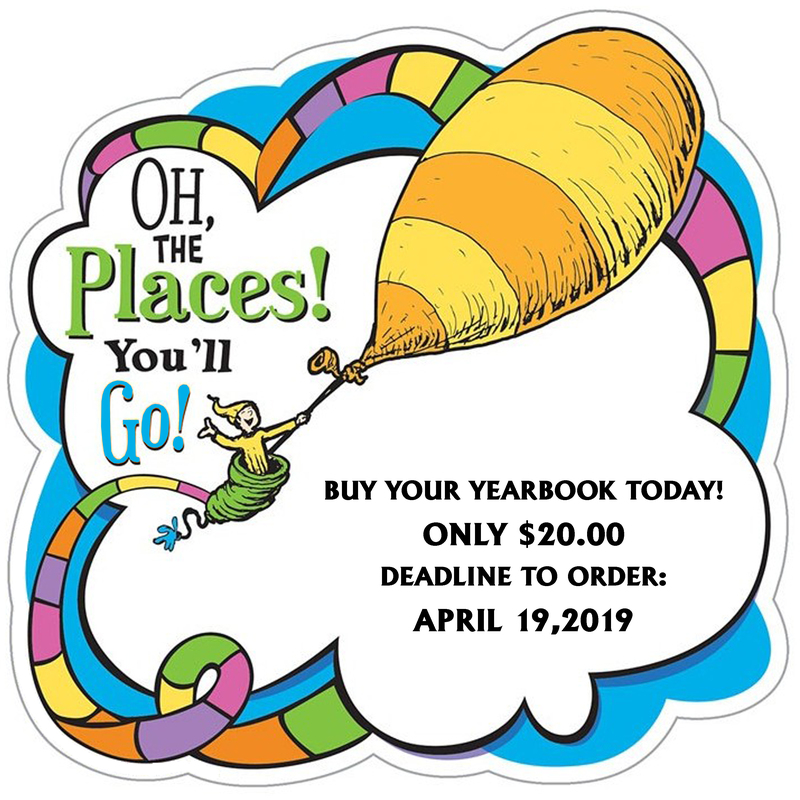 Registration and Meal orders will end on April 28th. Thank you for supporting Rasor PTA and Student Council! 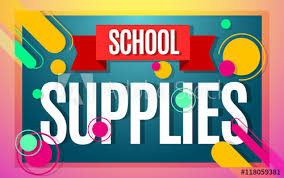 School Supplies for 2019-2020 are now available! 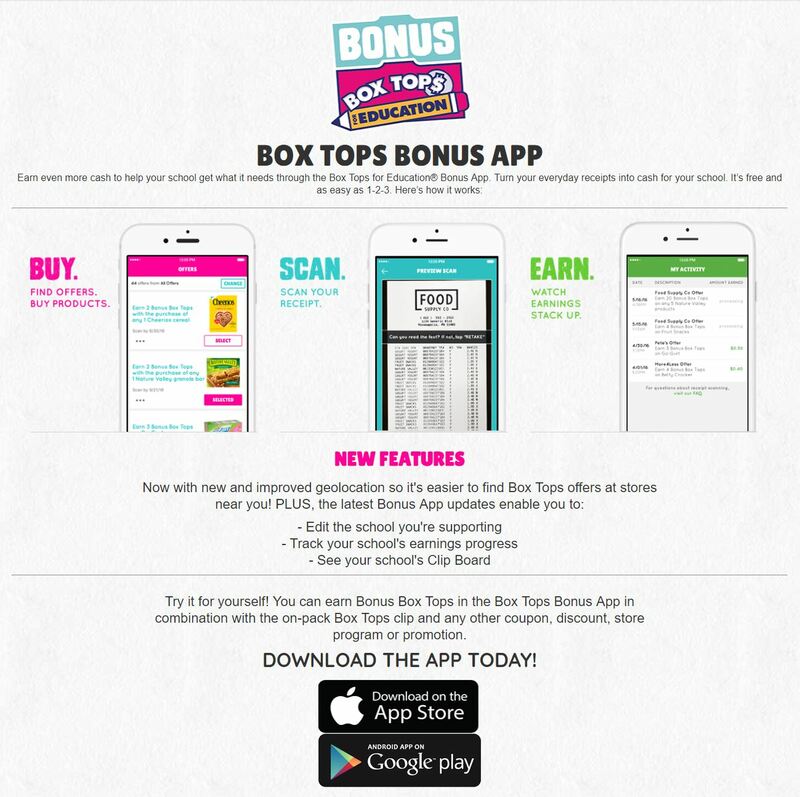 Packs for all grade levels can be purchased for $50. There are a limited number of packs for sale. Order yours today! Put Chick-fil-A on your calendar for Thursday, April 11th! What is Chick-fil-A Spirit Day? 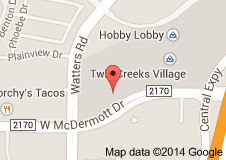 Take your family to the Chick-fil-A on McDermott in Allen on Thursday, November 8th to support your school. The more people, the larger the percentage that goes back to Rasor. Spirit Day lasts ALL day! So whether you are eating breakfast, lunch, dinner, or just grabbing an afternoon milkshake, please let your Chick-fil-A cashier know that you are there supporting Rasor Elementary for Spirit Day. Thank you for supporting Rasor PTA! Order your Spirit Wear t-shirts today! $10 each. 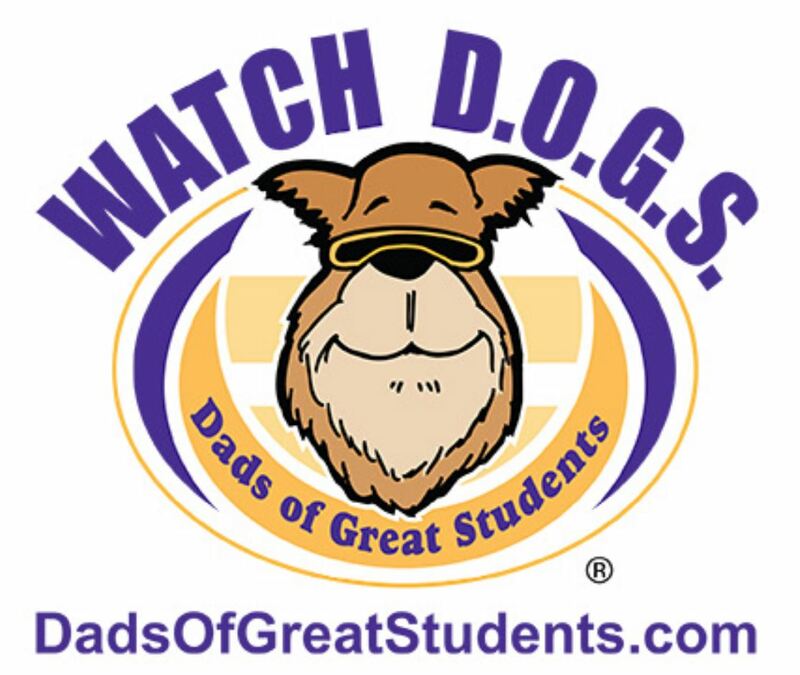 WATCH D.O.G.S., a K-12 program, invites fathers, grandfathers, uncles or other father figures to volunteer at least one full day at their child's/student's school during the school year. 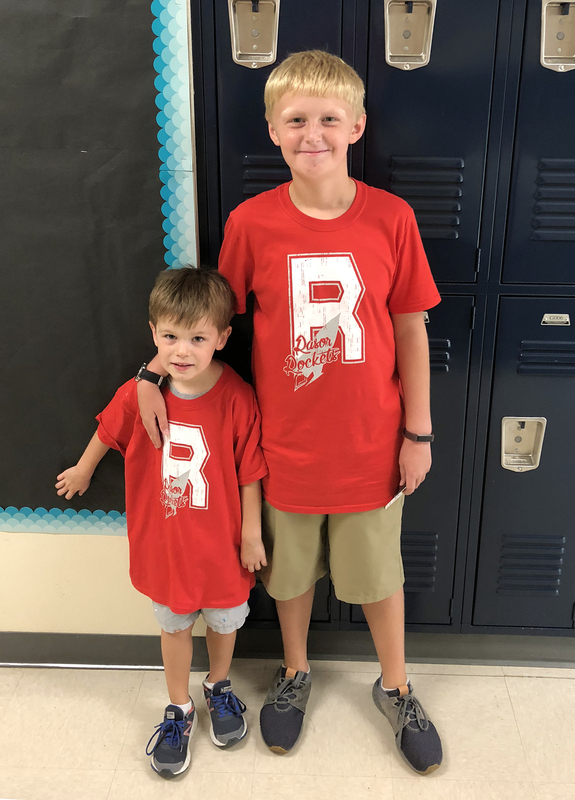 The program is overseen by a "Top Dog" volunteer who partners with the school administrator to coordinate scheduling and identify opportunities to provide assistance to the school. WATCH D.O.G.S perform a variety of tasks during their volunteer day. The Parent Teacher Association is intended to facilitate participation in school, build a relationship between students, teachers and the community. The biggest factors in student success are active and engaged families, educators and community. The PTA funds field trips for each grade level, plans and pays for educational programs and assemblies, runs the Rasor Book Fair, puts on fun family events, organizes and pays for teacher appreciation activities, coordinates volunteers, and works with teachers and administrators to help wherever help is needed throughout the school year. We know you're busy! We love volunteers, but if you're short on time, your membership dues are enough to make a huge difference here at Rasor. We thank you for your support!